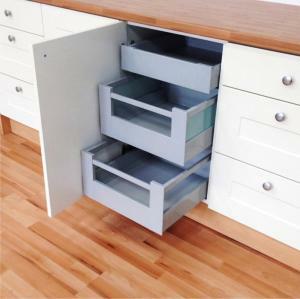 INTERNAL DRAWERS make the best possible use of the storage space available in any cabinet. 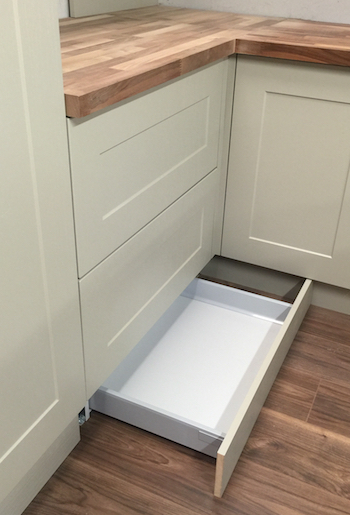 Using our 3, 4 or 5 drawer sets, you can save money, AND individually design your own BASE OR LARDER UNIT interiors. 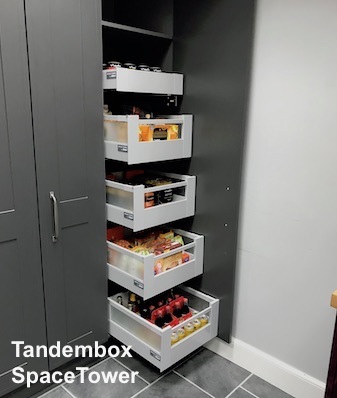 The SPACE TOWER larder unit can be accessed with impressive ease, provides ample space for provisions and can be tailored to each customer's individual needs. 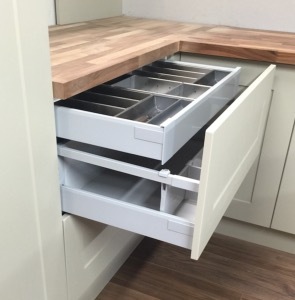 The Blum Space Tower contains 4 x deep and 1 x shallow internal drawer. Our unique flexibility allows you to add to or change that arrangement as you require. 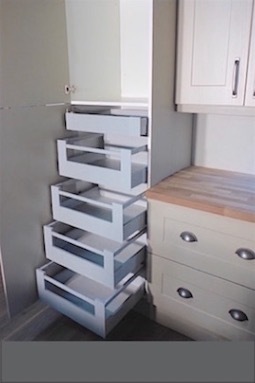 So if you want a Space Tower with 5 deep drawers, or any other combination (even varying the drawer lengths within the same pack), just ask. 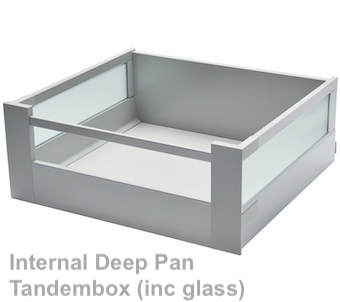 We can supply the Space Tower in the economical Metabox system, or the Tandembox Antaro system. 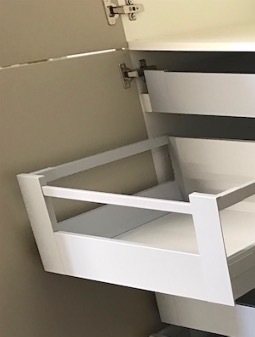 Either is available with packing strips for the hinge side of your unit or zero protrusion hinges if you can accommodate these. (please call or email for more information). 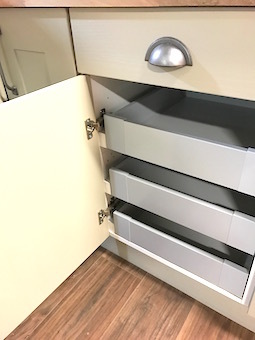 See below some images of our internal drawer kits in use. 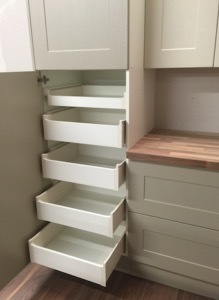 Anything shown below can be reproduced for you in almost any width or runner length.For any size not shown, please get in touch, we will be happy to quote. 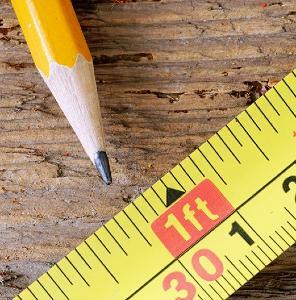 Please note, there is no additional charge for non standard items which can normally be despatched within 5 working days. 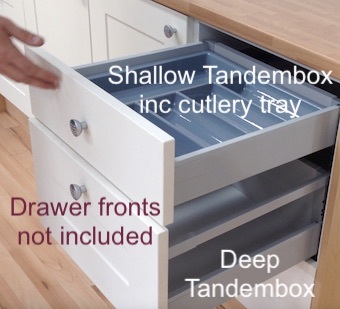 4 deep, 1 shallow internal drawers in a tall larder unit. 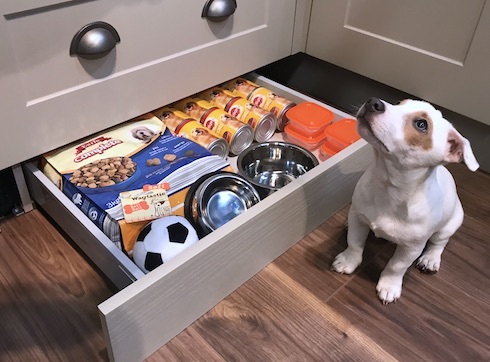 3 drawer pack in a base unit. NEW Plinth Pod. Available any size. Just slide into the space under your unit. 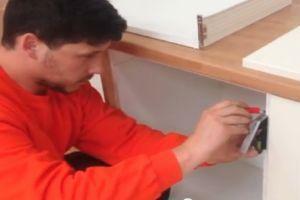 In a drawerline base unit. 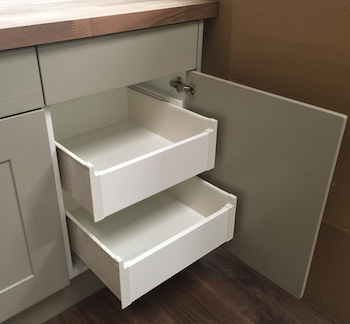 If you do not see the drawer size you require, email or call us with your sizes.